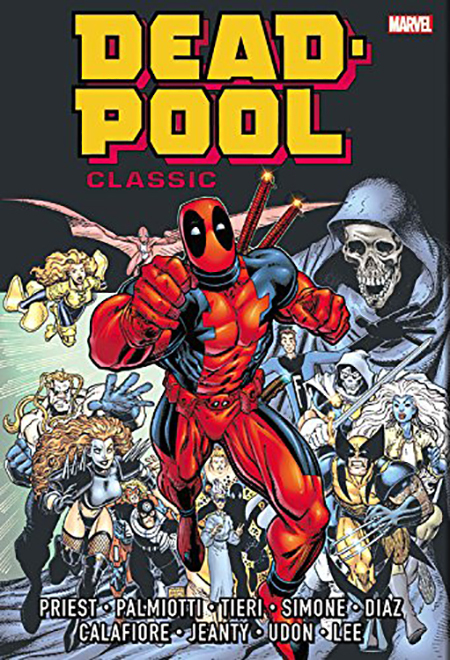 Deadpool Classic Omnibus - купить по выгодной цене | Магазин комиксов "Двадцать восьмой"
It's a heaping helping of the Merc with a Mouth, chock-full of the craziness that helped form a cult following! 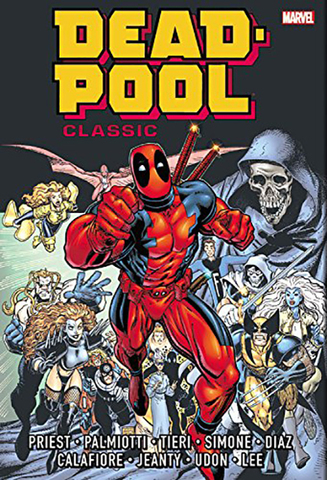 Deadpool crosses Loki, joins the Frightful Four, rubs shoulders with Black Panther, and goes into space - but who'll throttle him first: his new roommates, his crazy ex Copycat, or his new sidekick Pool Boy? Deadpool takes on the mob, battles the Punisher, rejoins Weapon X, faces his nemesis T-Ray...and dies - twice! And as if four pretenders ushering in a Reign of the Deadpools isn't enough, who the heck is Agent X and what's his title-stealing deal? Is he Deadpool or ain't he? Taskmaster and Outlaw join the fun...and so should you! Guest-starring Thor, Siryn and Fight-Man!